Multi-office connectivity is now as convenient as possible! It is now more than ever critical for your offices to feel and act like a single physical office, regardless of wherever they may be placed. 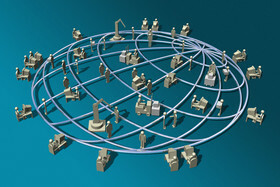 Proper data and voice connectivity generate a united sense of collaboration and cooperation among the employees. This forms a consistent experience for all customers while also saving time and money among other resources for the company. Noel Network & PC Services Inc. can enable you to connect all the people of your organization on one platform, enabling seamless collaboration regardless of their physical locations. Seamlessly connecting your offices around the globe is the next step towards dominating the industry! Contact us to find out more about how you can get multi-office connectivity at affordable rates. Take a few minutes and fill out the get in touch form provided on the right. Once you’ve submitted the form to us, one of our Multi-Office Connectivity team will get in touch with you as soon as possible!